Here is another installment in our Who Remembers? series. You can browse previous articles by using the search bar on the right or by clicking here. These articles are strolls down memory lane. In some cases, the buildings, but new businesses have replaced them. In other instances, the buildings or even the properties have been razed. Instead of a building, it may be a TV show, personality, or commercial that no one longer exists. Either way, it can’t stop us from taking the Memory Lane stroll! As always we would rather this be a discussion. No one knows this area better than those who grew up here! Please, leave constructive criticism, feedback, and corrections. We’d love to hear your anecdotes. Please share! There are few topics about New Bedford that won’t bring out cynics. Whether in everyday conversation or on social media the tamest and lightest of topics will often garner some negative comments. The list of subjects that don’t do this is a very short list indeed. One of those is the iconic, historic, institution beloved-by-all Ma’s Donuts. In fact, if you want to get beat up for some strange reason, talk junk about the mom & pop that stood out among the land of big-box chains. I’m willing to bet when the police show up to find out what is going on and they find out some communist was bad-mouthing Ma’s Donuts they will pretend they have a more important call that they have to leave immediately for. Maybe those cops were one of the thousands who grew up with Ma’s Donuts over the decades and will throw you in cuffs and accidentally knee you in the liver while putting them on. Allegedly, accidentally, oops. Let’s talk some “normals” when it comes to the shop that Ed and Sheila Lemieux started in 1984. 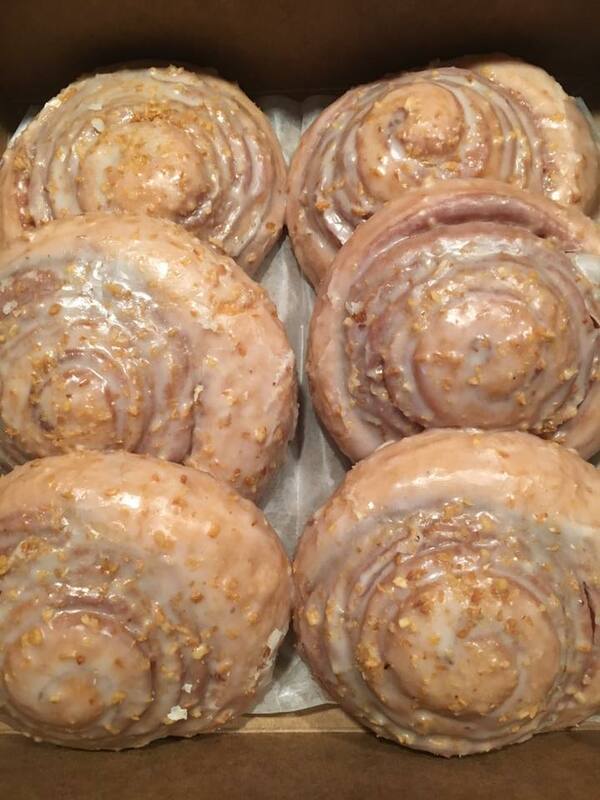 Normal is saying that their donuts were the world’s best and no one blinking twice. Normal was Ed and Sheila getting up at 2-3:00am to make the donuts and being greeted by a friendly staff of all locals who grew up eating there – the first job for so many. Normal was not being able to keep up with the demand and running out and having to close shop early. Skipping school or purposely being late to grab some donuts? Being the first place people wanted to visit when they returned from being away in the military? Leaving school or mass at St. Joseph’s Church and beelining there, maybe eating it at the park across the street? Stopping by to grab some for your co-workers, wedding guests, holiday celebrations, or for no reason at all? Photo by Kim Berche Brittain. Ask someone why Ma’s Donuts was the best donut shop on earth and you will get a myriad of responses. The warmed-up fresh coffee rolls and malasadas, the legendary glazed or perennial favorite chocolate, the Strawberry filled pastry with real whipped cream inside, the Honey-dipped, the cheese danish, chocolate lemon, et al were part of the love for the Lemieuxs’ shop. 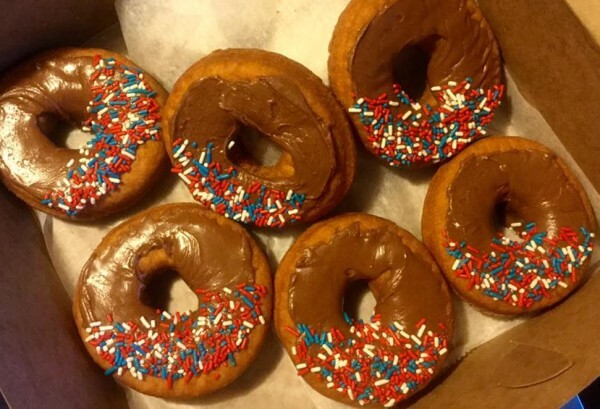 Another part is that Ma’s Donuts and New Bedford are like the Eiffel Tower and Paris, Seattle and the Space Needle, the Empire State Building and New York – you mention one and you don’t even need to name the other as they have merged into one. Ma’s Donuts is just part of growing up in New Bedford, who New Bedford was and still is. So you can imagine how disappointed people were when word spread that Ma’s Donuts was closing for good and going the way of Sunbeam, Frates and Homelyke Bakery in July 2016. When we announced it on New Bedford Guide’s page people from all over the world chimed in. Locals shared their stories about how long the lines were and how long they gladly waited to get one last fix. While the owners were willing to sell the shop and supposedly the recipe, no one stepped up to the plate. Was it the asking price? Did it not come with the recipe? I’m not sure that it matters since even with the recipe in hand there’s no way that anyone could replicate what Ed and Sheila did and created. “My entire life I’ve enjoyed Ma’s, I have no idea how to live without them!” – Sarah Jean. “Just hometown local goodness!” – Jeanie Lemieux Hathaway. “We have treasured your donuts, now enjoy your well-deserved retirement. I’m shedding a little tear, but it’s made of sugar glaze.” – Jeanne Plourde. “I spent many a Sunday morning there instead of mass at St. Joes. (Don’t tell my mother! )” – Donald Machado. Want to take a trip down memory lane? Read the hundreds of comments on this thread. 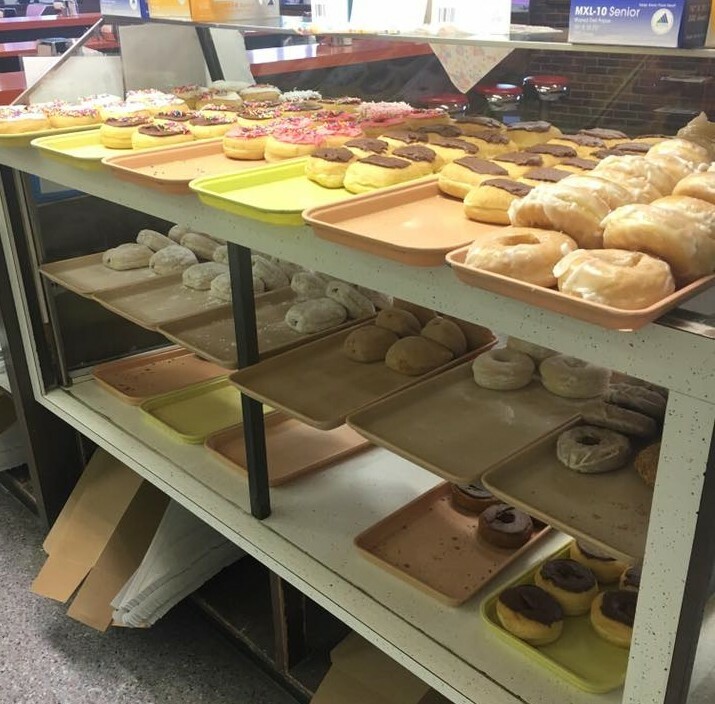 What are your fondest moments of Ma’s Donuts? What was your favorite thing to get there? Leave a comment below!